From the Buddhist meditator, scholar and award-winning author Bhikkhu Anālayo, this is a thorough-going guide to the early Buddhist teachings on Satipatthana, the foundations of mindfulness, following on from his two best-selling books, Satipatthana, the direct path to insight and Perspectives on Satipatthana. For each of the seven contemplations covered in this book there are audio recordings by Anālayo with guided meditation instructions, freely available here. 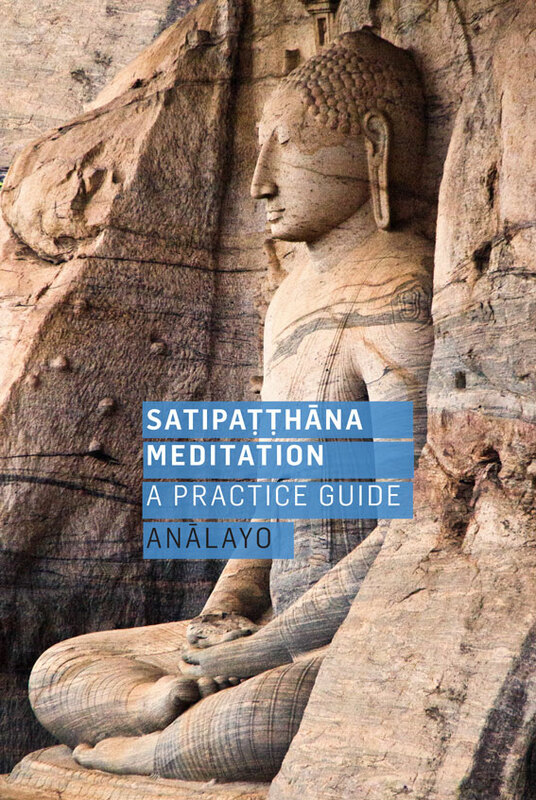 Buddhist meditator and scholar Bhikkhu Anālayo presents this thorough-going guide to the early Buddhist teachings on Satipaṭṭhāna, the foundations of mindfulness, following on from his two best-selling books, Satipaṭṭhāna and Perspectives on Satipaṭṭhāna. With mindfulness being so widely taught, there is a need for a clear-sighted and experience-based guide. Anālayo provides inspiration and guidance to all meditators, of any tradition and any level of experience. Each of the twenty-four chapters concludes with suggestions to support meditative practice.